The leading phlebologist of the "Medical Innovative Phlebological Center", surgeon, endovascular and aesthetic phlebologist, an expert in ultrasound diagnostics of the veins of the lower extremities. Full member of the Russian Society of Angiologists and Vascular Surgeons, St. Petersburg Association of Phlebologists SPSP. 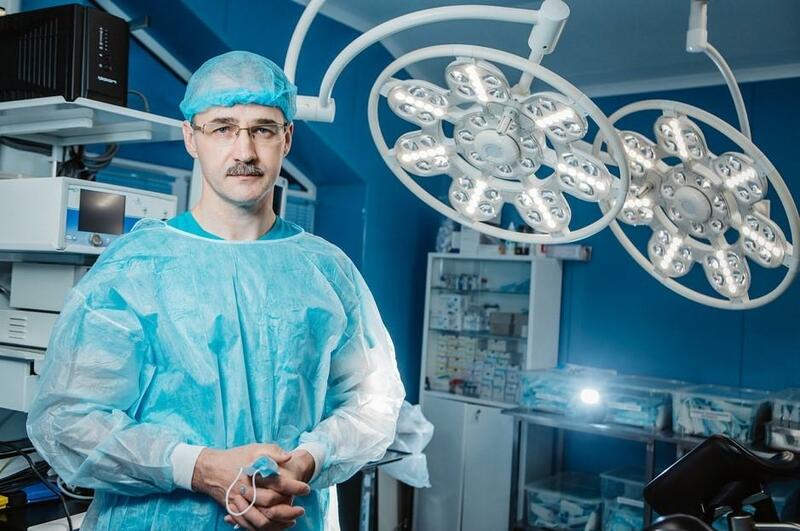 Voloshkin Alexey Nikolaevich is today one of the leading phlebologists in Moscow in the field of endovascular treatment of varicose veins of the lower extremities. They independently performed more than a thousand radiofrequency ablations Closure FAST and endovasal laser coagulation Biolitec. Another area of ​​Alexey Nikolaevich's activity is aesthetic phlebology: removal of vascular asterisks, ugly varicose veins with the latest methods of foam Foam-Form sclerotherapy and microsclerotherapy. Alexey Nikolaevich is a graduate in ultrasound diagnostics of the veins of the lower extremities. 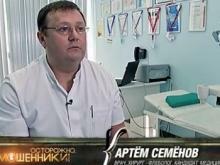 He underwent training in UZDS veins at the Department of Functional Diagnostics "RNIMU" them. N.I. Pirogova MH RF. In 2009 he graduated from the Kursk State Medical University, specialty "Medical case". В XNUMX году получил квалификацию по специальности "Surgery" on the basis of the Moscow Medical Academy. THEM. Sechenov. In the process of teaching, he was engaged in research on varicose veins. After graduation, he completed a narrow specialization in the field of "Phlebology". С XNUMX года работал хирургом-флебологом в МСЧ № XNUMX в Москве. From 2012 to 2015, the surgeon-phlebologist in "Clinic of Modern Phlebology" on the basis of a multidisciplinary clinic "Krede-Expert" on Taganka. Since 2015 year - the leading surgeon phlebologist MIFTS under the guidance of Dr. Semenov A.Yu. В "Medical Innovation Center of Phlebology" under the guidance of Dr. Semenov A.Yu. performs all types of surgical interventions for varicose disease of the lower extremities: a crossectomy, thrombectomy, miniflebectomy, microflebectomy, combined phlebectomy. He has the most modern minimally invasive methods of treatment of varicose veins: endovasal laser coagulation (EAVL), radiofrequency obliteration Closure FAST (RFO), mini-phlebectomy by Varadi, microflebectomy. Successfully engaged in aesthetic phlebology - is a qualified specialist in the removal of spider veins, intradermal varicose veins and reticular veins. On an ongoing basis, he uses innovative methods of sclerotherapy: microfine (Foam-Form) sclerotherapy, echosclerotherapy, ozone sclerotherapy. 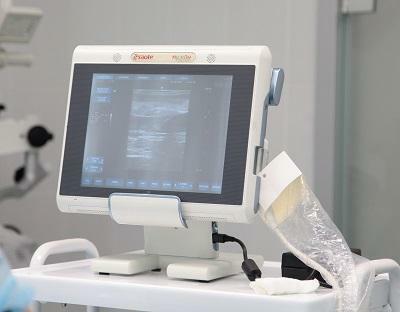 He is a certified specialist in the field of ultrasonic duplex scanning (UZDS) and successfully applies this method of vascular diagnostics for examination of patients with varicose veins. 2015g. Advanced training on the basis of the Moscow Regional Scientific Research Clinical Institute. M.F. Vladimirsky on the cycle "Surgery"
2015g. Professional retraining on the basis of the "Russian National Research Medical University named after NI Pirogov" of the Ministry of Health of the Russian Federation for "Ultrasonic diagnostics"
2013g. Advanced training on the basis of the First Moscow State Medical University on a cycle "Diagnostic and surgical treatment of patients with cardiovascular diseases"
2012g. Scientific and practical seminar "Phlebological Workshop" on the topics "Chronic venous diseases: from general to particular", "Trends in the treatment of chronic venous insufficiency"
2012g. Advanced training on the basis of GBOU VPO of RNIMU him. Pirogov on a cycle "Topical issues of phlebology"
2011g. Scientific and practical seminar on the topic: "Phlebological Workshop" together with the Russian phlebology association.